John Coleman (b. 1949) was born in Southern California and began his early art studies at the Art Center for Design in Los Angeles. 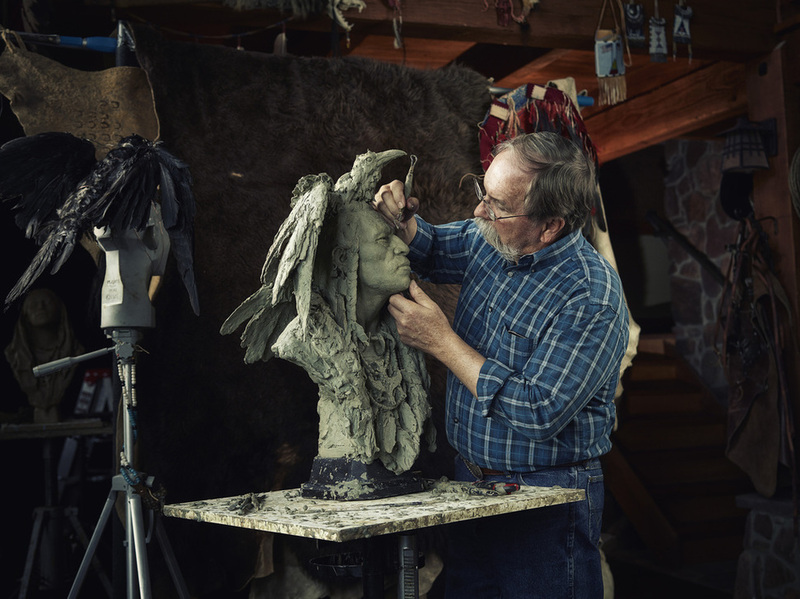 Sculpting full time since 1994, John was voted into professional membership of The National Sculpture Society of New York in 1999. John was brought into the Cowboy Artist of America in October, 2001, and is a fellow member of the National Sculpture Society. He usually has six or seven works-in-progress at any one time and will introduce four to five new editions each year. "I am fascinated how music can convey a mood without lyrics and have often thought sculpture lends itself to that idea. I have always loved history and mythology and feel they are the lyrics to my sculpture; the musical interpretation that engages the emotions. Just as music has a beginning, middle and an end, so does sculpture. I like to tell stories in my work using metaphors that help explain who we are and from where we came. Creating an object means little to me unless I can portray an underlying emotion or analogy. Each piece tells a story in the three dimensional, a visual mythology written by my hands and spiritual imagination, somehow linking us to the past and bringing us to a greater understanding of our ancestors."